"Yosemite Falls Waterfall 3" Yosemite National Park, California. I spent two weeks in the Spring of 2013 climbing up the opposite canyon's wall in order to get an angle that captured all three sections of the waterfall. In this photo you can see a bird flying towards the waterfall on left side in the sky. 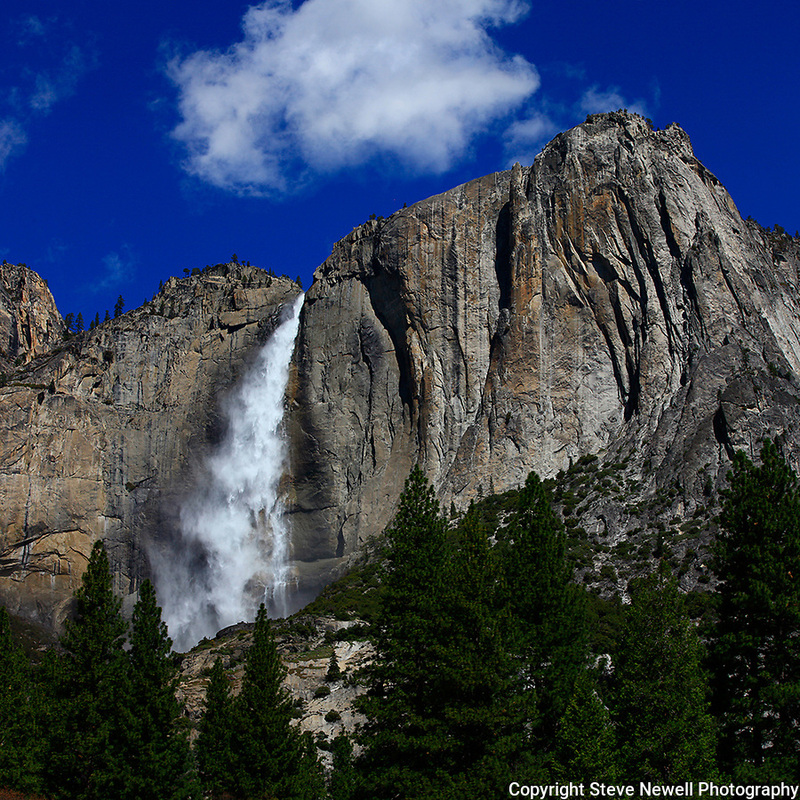 I learned on the Yosemite National Park's website that no one had a photograph of the middle section of the waterfall. Their description of the middle section is "often ignored middle section" All other photographers only have photographs showing an angle that has the upper and lower sections in view. I had to climb down and return moving further up the canyon to get an angle to see directly into the middle section.